With 2008 not being the best year for the iPhone in India, Vodafone is attempting to cover up the disaster by offering discounts on the same. The offer, launched in the first week of January, makes the iPhone cheaper by Rs.5,000.However, this isn’t a direct discount. Vodafone will allow you a credit of Rs.500 on your bill for the first 10months. Given the high charges for data usage,Vodafone will make sure that you are being billed in four-digits, just clearing the doubts of people who thought their bills would barely come close to Rs.500. We Say: The offer is a smart way of attracting consumers and though the phone turns out to be expensive in the log term from the users perspective, the discount being offered may be very lucrative to be avoided or ignored. Let’s hope the act gets some additional users to buy the phone. Reliance is positioning itself as a 3G ready service provider. Go to its site and you are welcomed by an ad, which boasts about its sim cards being 3G ready. This is not all, as it has self acclaimed its own plans to be the best one being offered currently. All this comes with a sim card that is 3G ready and will allow you to make the best of it, only if it launched. With regards to the top-up options on offer, you can opt for a Rs.10 recharge, which gives you talktime of Rs.6.9 to Rs. 100 recharge with talktime of Rs.87. Government owned Bharat Sanchar Nigam Ltd. (BSNL) has introduced a new prepaid mobile SIM costing Rs 50 in its Maharashtra-Goa circle. This new SIM card would come with a talktime of Rs 10 and would offer 50 days of initial validity. This new SIM card is specially designed for people having high calling usage on other BSNL mobile phones. The call rates on this new SIM would be 60p/min to BSNL mobile during the day and 20p/min during the night (11 pm to 6 am). Along with the launch of this new prepaid SIM, BSNL also announced the reduction in the cost of its existing SIM card. The prepaid SIM which would earlier cost Rs 149 will now be available at the cost of Rs 121, indicating a total reduction of around 25% on the cost of this starter pack. This SIM card carries a talktime of Rs 50 and provides an initial validity of 90 days. According to the press release from BSNL, both these SIM cards would be exclusively available at the 489 Customer Service Centers of BSNL spread across Maharashtra and Goa. Virgin Mobile today announced a new enticing SMS offer dubbed as the New Thumb Rule. The offer comprises of giving the user, a daily quota of 100 local and 100 national SMSes free. Yea, it looks pretty lucrative but is it worth? Let’s do the math. To activate the scheme, a Virgin Mobile user first needs to send 3 local SMSes or 3 national SMSes to get his daily quota. In this case, we’ll concentrate only on local messages. Each message sent to a local number will be charged Re. 1 (except in Tamil Nadu, Chennai, Karnataka where it will be charged 50paise). Say you sent the first three messages everyday making the total expenditure of 30 days to Rs. 90. This gives you 3000 messages in a month. Well, that’s cheap but not cheap enough when you compare it to some SMS packs available from other service providers. And another thing is that the free messages allotted, has to be exhausted on a daily basis. You cannot carry forward the remaining number of messages. You can learn more about the offer from here. 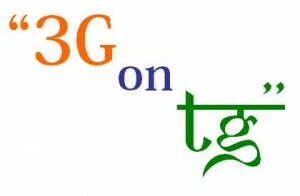 Coming March, Jammu and Kashmirwill witness the launch of 3G services by the public telecom giant BSNL. The operator is all geared up to launch the much awaited service in J&K. However, the circle does not seem to be very attractive, and thus we don’t see many takers for the service. However, the operator is all bullish and has set the third month of the year as the official date for launch. Tata Indicom today announced a new scheme to woo postpaid customers across Maharashtra & Goa region. A 100% cash back on the handset will be given to the customers if they are unsatisfied with the service. The three devices included in the scheme are Samsung Super Hero (Rs. 1,800), Radio phone (Rs. 1,800) and Motorola W212 (Rs. 1,200). Isn’t that great!! On one side the Government is finding it difficult to arrive at a concensus and on the other, reports of 90 million subscribers by 2013 making the rounds. This data was a part of Federation of Indian Chambers of Commerce and Industry’s (FICCI) report. Also, projected sales of 3G enabled handsets stand at 8.13 million units, which would bring in $11.2 billion as revenue. As for the timelines for the auction process, things do not look too good. The process is already running late by a month and there are some more expected. However, reterating our views, this is a good time for operators to make sure they have saved enough to help them emerge as winners in the bidding process. Following Airtel’s approach to lower its lifetime prepaid start-up amount, Vodafone last week announced its lifetime prepaid at Rs 99. Everything is similar to Airtel’s prepaid pack; the Vodafone card carries a talktime of Rs 10 and offers local calling at a flat rate of Re 1.